It's time for another Halloween craft! 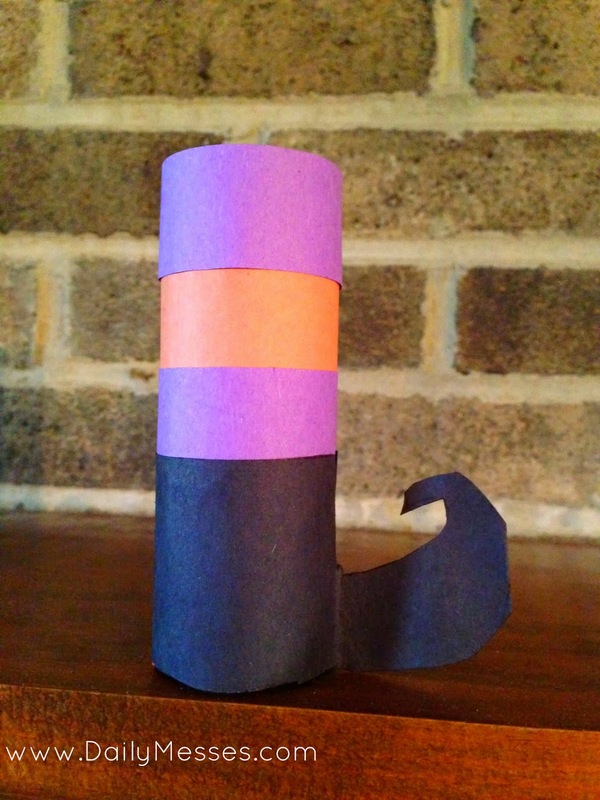 This time it is a witches boot made out of a toilet paper roll. 1. 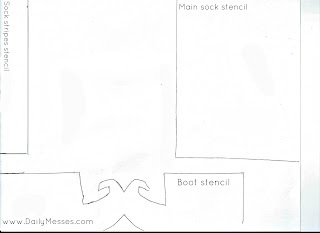 Use the stencil below or trace and cut out a piece of paper to cover the toilet paper roll. 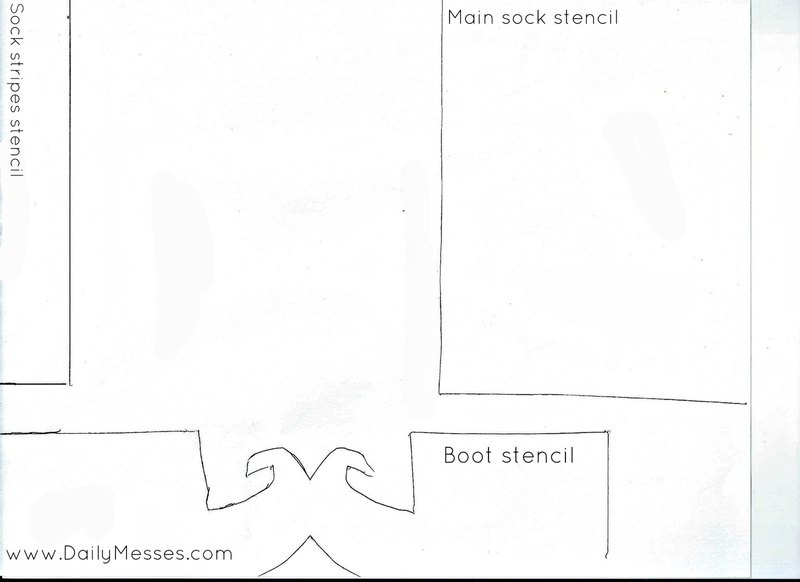 This will be the base sock layer. 2. 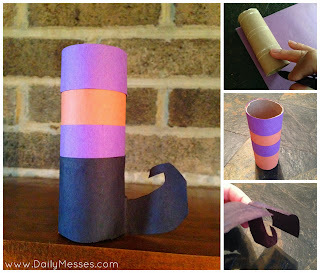 Glue sock layer to toilet paper roll. Hold the ends together until the dry, or use clothespins to hold in place. 3. Cut out strips for the sock stripes and glue on. 4. Cut out the witches boot shape. I had many attempts, but I think I finally got it right. I have the stencil below. 5. Glue boot to the bottom of the roll. Let dry. DM Tip: I found it easier if I glued the toe/curly part of boot together first and then glued the rest around the roll.